Handles reasonably well. Decent ride quality. Much improved after 2013 facelift. Rear seats are not all that not comfortable for adults. Original engines all timing belt not chain. Poor quality interior. 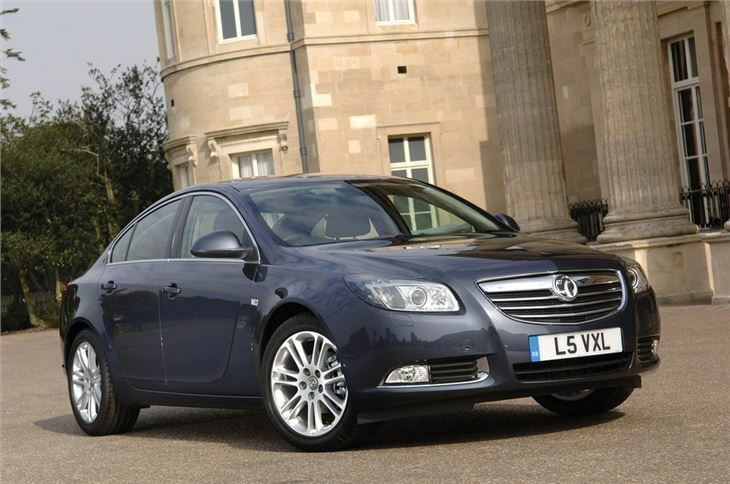 The Vauxhall Insignia is a large and economical hatchback that's popular with company car drivers, owing to its low running costs, comfortable driving position and decent equipment levels. That said, the Insignia returns poor refinement and dull styling, which makes it a difficult recommendation for any non-company car drivers. The Insignia does get a wide choice of engines, with the highlight being the 140PS 2.0 CDTi ecoFlex, which officially returns 76.3mpg and 99g/km of CO2. The 1.4 turbocharged is the most efficient petrol, offering 50+mpg and emitting 124g/km. There's also a track-focused VXR version, powered by a vocal 325PS turbocharged V6. Most Insignia models are well-equipped as standard with air conditioning, steering wheel mounted controls and a colour infotainment screen. The interior received a significant upgrade as part of the 2013 facelift, with a better dashboard layout, with less buttons and the option of a more intuitive eight-inch touchscreen. However, the Insignia scores poorly for refinement though and lots of road and wind noise make it into the cabin. The sloping roof line makes the rear seats an uncomfortable fit for tall adults in the back. The boot is a decent size though - 530 litres - and can be extended to 1470 litres with the rear seats down. That said, both the Ford Mondeo and Skoda Superb offer more space and the Insignia's narrow boot opening also makes it difficult to load heavy items without scuffing the trim. 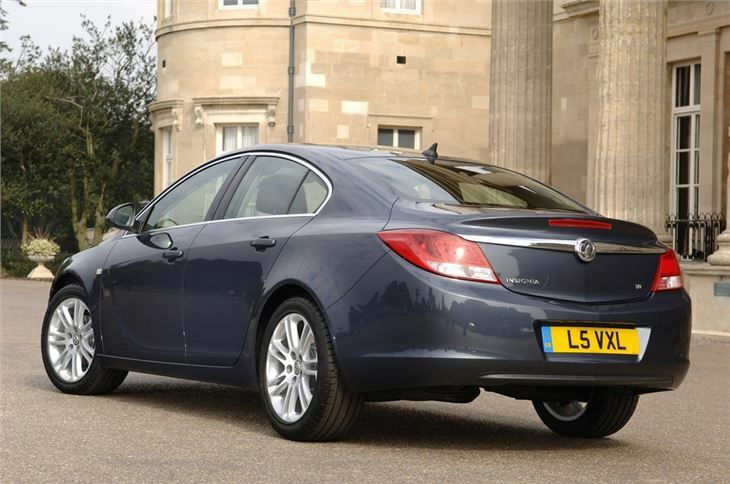 On the road the Insignia is easy to drive with predictable cornering and lots of front-end grip. Post-2013 cars benefit from suspension upgrades and improvements in body control in the corners, but the Insignia still lacks the reward and fun of the Ford Mondeo and Skoda Octavia. As a used buy, the Vauxhall Insignia makes a lot of sense, with affordable prices, good fuel economy and decent levels of standard kit. It's also extremely competitive as a company car, with low servicing and running costs. If you're not a company car driver the Insignia will be more difficult to justify, given that is considerably outclassed by the Ford Mondeo, Skoda Superb and Mazda 6.